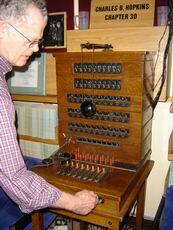 Here�s a small switchboard. 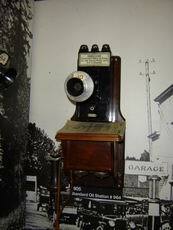 This was the kind of switchboard when you turned the crank on your phone, a sign flipped down informing the operator which line was ringing. 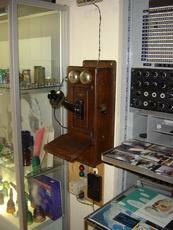 A typical crank telephone of Western Electric make. 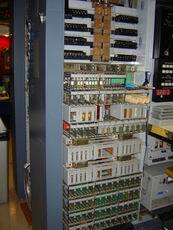 A Western Electric #3ESS switch. 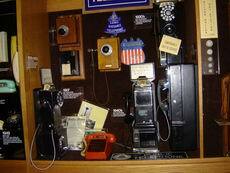 I don�t know if its operational or not. 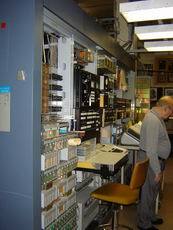 Line cards from the #3ESS switch. 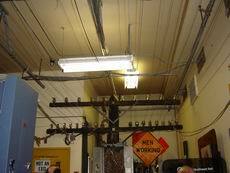 Various cable splices, showing the importance of outside plant engineering. Large crossarms, showing open wire carrier configuration. 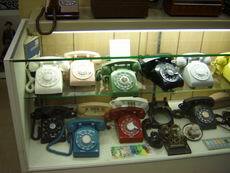 Massive collection of Western Electric 500 sets. Most people associate black for the color of the infamous 500 set, but this shows that a multitude of colors under the rainbow were made (check out that hot pink!). Also check out that 1500 set (Touch Tone without the * and # buttons) on the lower right side of the right hand picture. 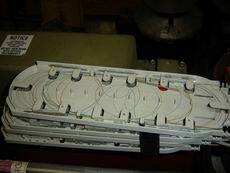 The inside of a Western Electric 500 set. 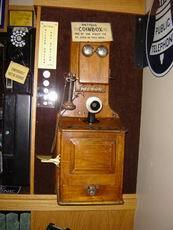 They don�t make them like this anymore! 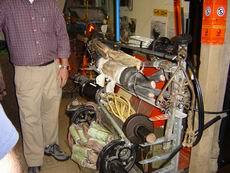 Fiber optic splicing. Very delicate and tedious! 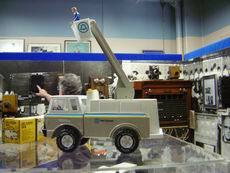 A Tonka truck in the shape of a Bell System-era bucket truck. 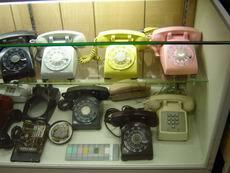 The amazing thing is I used to own one as a kid! 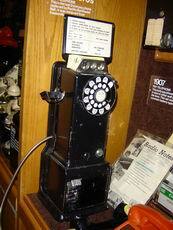 Wish I still had it.. would have been a neat collector�s item. 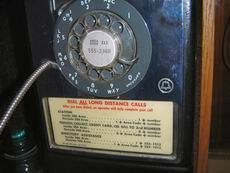 A rate card for long distance calls. 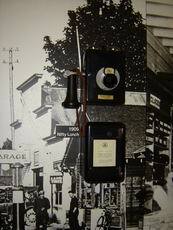 Yet another crank style pay phone. 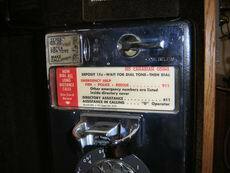 More and more various pay phones. 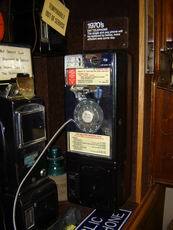 A rotary (dial) version of the Western Electric fortress pay phone. 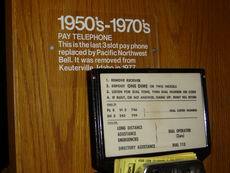 Old top instruction card for the pay phone. Notice that 911 service was in place by the time this instruction card was made. 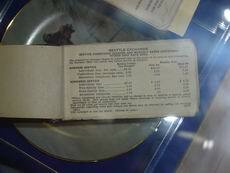 And here�s the old bottom instruction card. 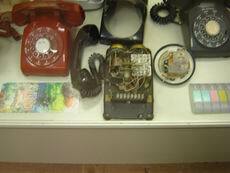 Note that TSPS (alowing for coin based 1+ and 0+ calls) was in use by the time the card was made). 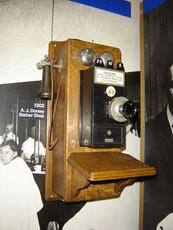 A three-slot Western Electric pay phone. Instruction card for the three-slot phone. 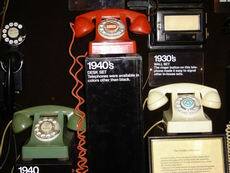 I never knew that the Western Electric 302 style phone came in any other color than black. But this proof otherwise.